The timing of this announcement is a bit troubling. On January 2, U.S. President Donald Trump sent the now-infamous tweet in which he asserted that his “nuclear button” was both “much bigger” and “more powerful” than that of North Korean leader Kim Jong Un. Two days later, the Centers for Disease Control and Prevention (CDC) announced plans to stage a livestreamed grand rounds (a teaching session for medical professionals) titled “Public Health Response to a Nuclear Detonation” on January 16. So, is this a coincidence? Or a scary omen that Trump’s tweet was more than just bluster? Additionally, while the timing of a grand rounds on this particular topic may make it seem like the CDC believes the possibility of a nuclear detonation is high right now, CDC spokesperson Kathy Harben told Stat that that’s not the case. She said the agency actually began planning for the session back in April 2017 after CDC officials attended a “radiation/nuclear incident exercise” led by the Federal Emergency Management Agency (FEMA). It’s good news that the CDC isn’t expecting a nuclear detonation in the near future, but there’s still an estimated 22,000 nuclear weapons in existence — so the threat of a future bombing remains. As we learned from Hiroshima and Nagasaki, these events have devastating and long-lasting consequences. 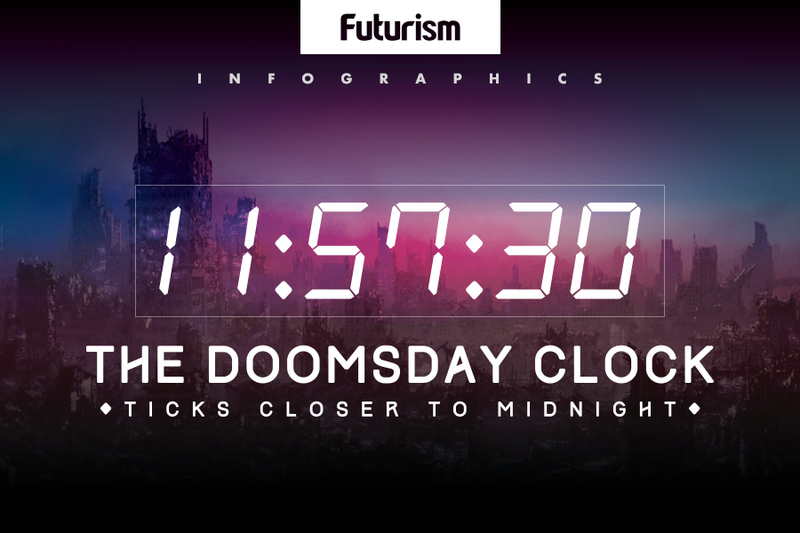 “We can’t predict at this point or confirm with any degree of certainty whether or not a nuclear attack is going to happen in the very near future,” Suzet McKinney, Executive Director of the Illinois Medical District (IMD) told Futurism. Still, that doesn’t mean preparation for such an event isn’t worthwhile, according to McKinney. She believes a whole community approach would be the most likely to save lives. McKinney suggested government officials make it a point to understand how their individual jurisdiction’s critical infrastructure — its hospitals, police stations, fire stations, water systems, and so on — could be affected by a nuclear detonation. She suggested they try to anticipate the potential needs of not only their own jurisdiction but also those nearby and consider how the areas might work together to cope in the aftermath of a detonation. Early identification of especially vulnerable populations, such as people who are disabled, don’t have access to technology, or have limited English proficiency, is also important, said McKinney. This information can help officials ensure all citizens are protected in the event of a nuclear event. Nancy Nydam, the Director of Communications for the Georgia Department of Public Health (DPH) — one of the agencies presenting at the CDC’s grand rounds — confirmed the need for collaboration and communication between various members of the community. She told Futurism that while public health is not a first-responder in a radiation emergency (which would include a nuclear detonation) they do work closely with first responders in coordinating all responses. They are also responsible for preparing to activate the Community Reception Centers that act as a liaison between public health and the community, providing surveillance, monitoring, decontamination (if necessary), risk communication, and long-term follow-up of anyone who was or may have been exposed to radiation. As for individuals looking to prepare for a nuclear detonation, the best thing they can do is educate themselves, according to McKinney. Knowing simple things like the importance of sheltering in place to limit radiation exposure or what it means to duck and cover can go a long way toward staying safe in the event of an attack. She also recommends that members of the public make an effort to understand what their local and state governments are doing to address the threat of nuclear detonation. She suggests checking government websites, attending relevant community meetings, and asking questions if there’s something they don’t understand. In that respect, the CDC’s upcoming grand rounds is an excellent resource not just for public health officials, but the public as well. The CDC is the nation’s top public health agency, and the information shared during the session could save your life if the unthinkable ever did occur. Editor’s Note: This piece has been updated to reflect the correct name of the CDC’s teaching session.